ORLANDO Pirates coach Milutin “Micho” Sredojevic is starting to sound like a broken record! The Serbian mentor is trying hard to ignore the fact that the Soweto giants are the Absa Premiership title contenders, whether he likes it or not. Despite being six points ahead of second placed Mamelodi Sundowns, who are tied with Bidvest Wits on 44 points, Micho didn’t entertain any thoughts of challenging for the title. He is playing mind games, even though his players are saying they are desperate to capture the championship. 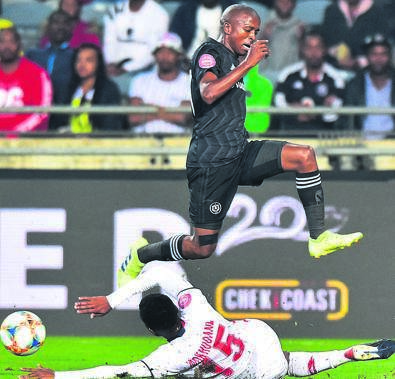 Bucs survived a late scare to register a hard fought 2-1 victory over Free State Stars in a league match played at Orlando Stadium on Saturday night. Musa Nyatama broke the ice via a penalty three minutes into the second half, while Justine Shonga added the second six minutes later. Eleazar Rodgers pulled one back for Ea Lla Koto, with eight minutes remaining. Instead of talking about their push for the title with three games remaining, Micho instead warned his players not to lose focus. Pirates have capitalised on Sundowns’ absence from the league to win three games in a row and put pressure on the Tshwane giants, who have three games in hand. He claims that his main objective is to guide the club back into the Caf Champions League next season. But Man of the match Luvuyo Memela said the players have already started dreaming about winning the title. Memela said: “The excitement is there and the mood is high in the camp. We can see that it’s close but we need to focus on the next match. “Senior players Nyatama and Happy Jele are calming us down.